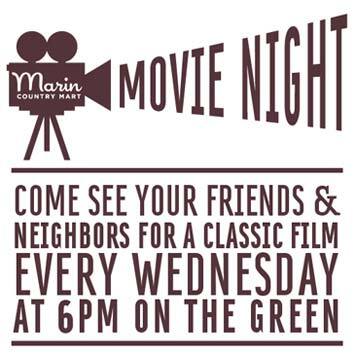 Come to Marin Country Mart at Larkspur Landing this summer for free, family-friendly movies on the green! Every Wednesday at 6 pm, Marin Country Mart will present a great family film, so pack up the beach chairs, blankets, and of course the kids, for a great night of outdoor movie fun. Bring your own food or purchase dinner from one of the Mart's restaurants, including , Belcampo, Farmshop, and Rustic Bakery. 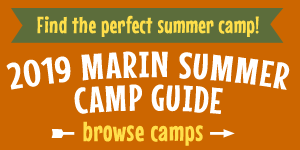 Marin Country Mart is located at 2257 Larkspur Landing Circle, off East Sir Francis Drake Boulevard, in Larkspur. For more information, visit marincountrymart.com. The Marin Country Mart also offers free outdoor concerts with jazz on Friday nights and folk, Americana, and roots music at the Folkish Festival, as well as a popular Saturday farmer's market from 9 am to 2 pm. Check out their online calendar to learn more.